Native Barbados cherry, a small shrub/tree, is great as an accent plant or screen. 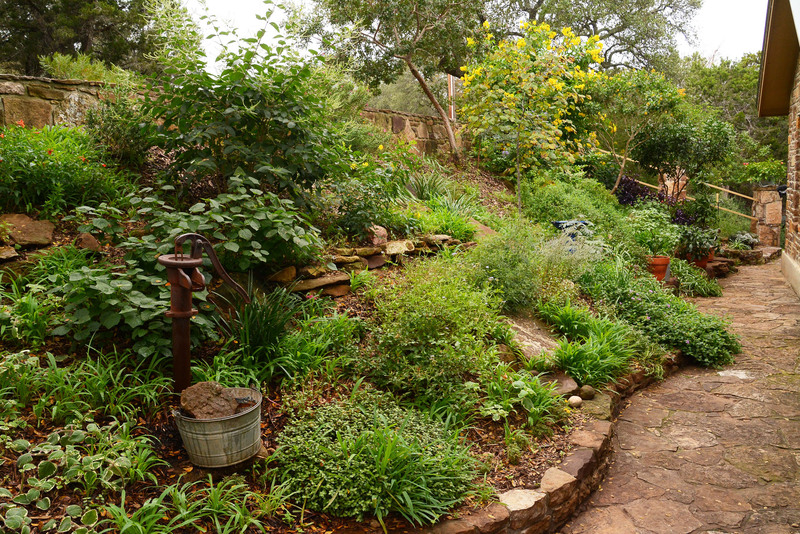 Like most plants, it needs a little extra water during the first year or so, but is very drought-tolerant once established. 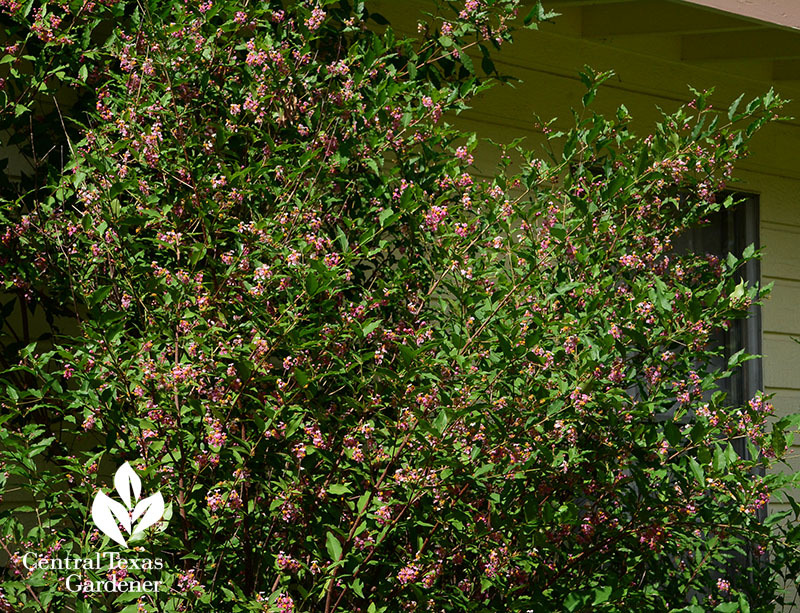 There are dwarf varieties available that form more of a groundcover, but common Barbados cherry usually gets 4 to 6 feet tall and has a spreading habit, so give it plenty of room to grow. It’s easy to prune to shape as you like. The small pink flowers, which bloom in spurts from April through October, look very similar to the flowers of crape myrtle. They attract butterflies and hummingbirds. Barbados cherry produces a lovely bright red fruit that is edible and high in vitamin C, but quite tart. These fruits are truly a wonderful food source for birds during the hot months of summer. Those fruits and the tender leaves may also attract other wildlife to your yard. Deer absolutely love them too! So: not deer resistant. 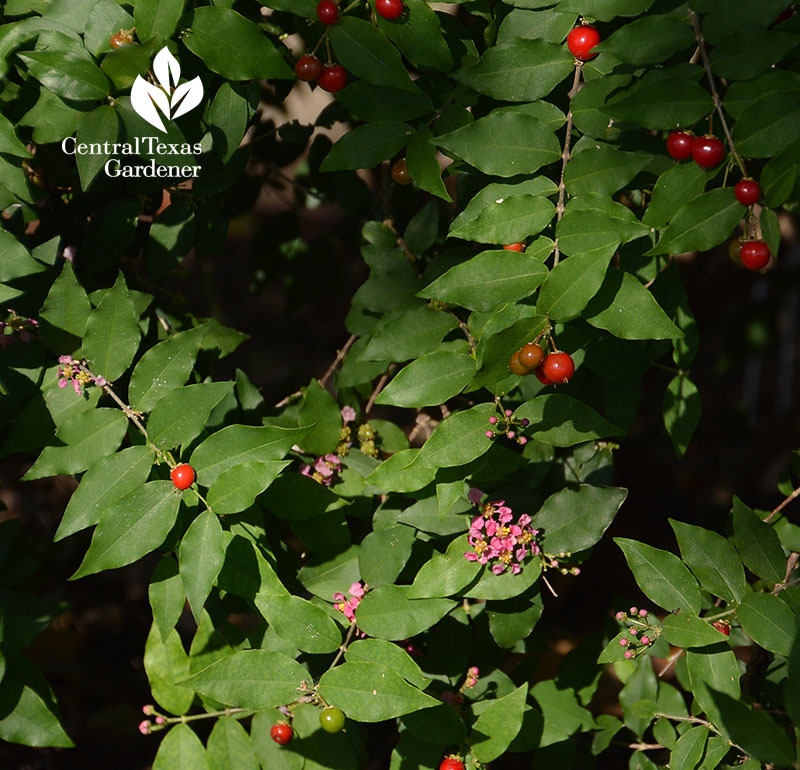 Barbados cherry performs well in part shade to full sun and is evergreen during most winters. In a harsh winter, it may lose its leaves but will bounce back when spring arrives. Simply cut back dead branches. 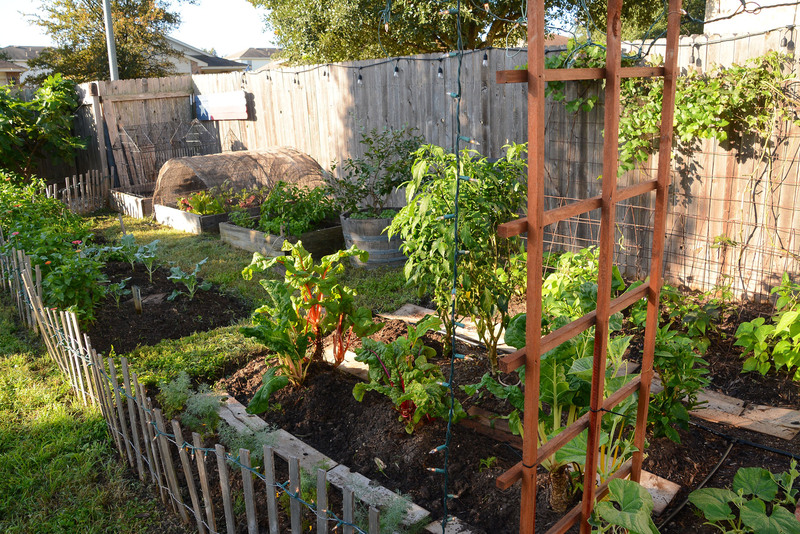 It’s adaptable to most soils, including clay, but does require good drainage.